Whether you are a man, woman, or child, come on by the shop here and you will be sure to find the product that suits what you are looking for. 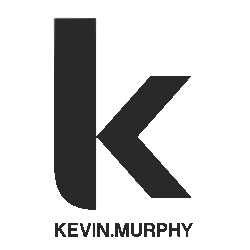 Find out more about the Kevin Murphy brand and product line by clicking here. 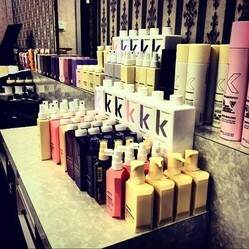 The devotion to quality and sustainability makes Davines a perfect fit at Velvet Lounge. As well as having been to Italy and the Davines team welcoming us into their facility with open arms and sharing their philosophies and mission with us created a bond that was something personal and special for us here, and made the decision a simple one to carry these incredible products. Find out more about Davines and who they are by clicking here. Schorem, a barbershop in Holland that has been frequented by greasers, rockers,bikers,psychobilly’s, ruffians and other fine gentleman from every echelon of society. With more than fifty years of barbering and grooming experience these Rotterdam Barbers have now formulated pomades worthy of their exacting standards. As old school barbers they dug deep into the history of pomades to formulate what they belief are the worlds finest, Reuzel. ​Reuzel is the Dutch word for lard and is a wink to a past when pomades were made from animal fats and fragranced with apples. The word pomade actually comes from the french word “pomme”, meaning apple. Smell the products, you will see they took that seriously. These guys came to Vancouver not too long ago. They cut one of our crew members hair into a rad pompadour, they styled it with their product, and since then we have decided to carry the line. They were rad dudes, with a rad product and we are a rad hair shop so the shoe fit well. Check out who they are and what they do by clicking here. ​Reuzel grease in the green can is a beeswax based, medium hold pomade. It’s as sticky as honey and will pomp up or slick down every classic or signature barbershop haircut. The traditional pomme fragrance has been spiced up with a little peppermint in Reuzel’ traditional grease.